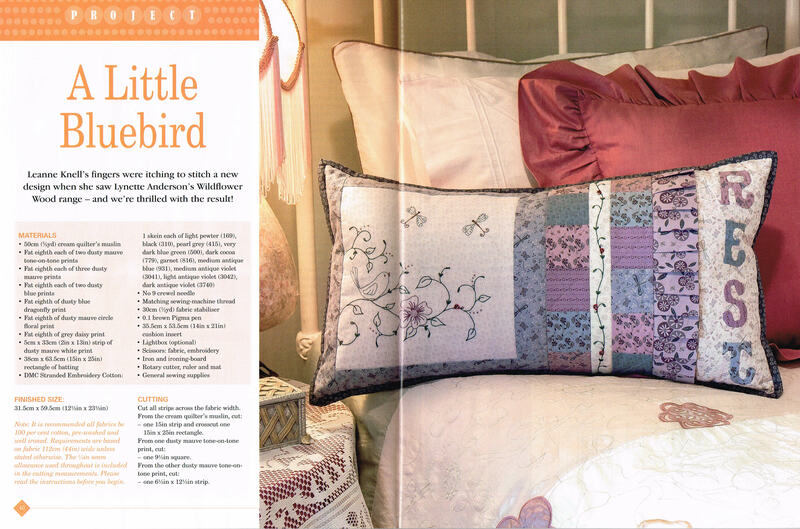 This little cushion is in the current issue of Country Threads magazine Vol 14 No 6 that is on sale. 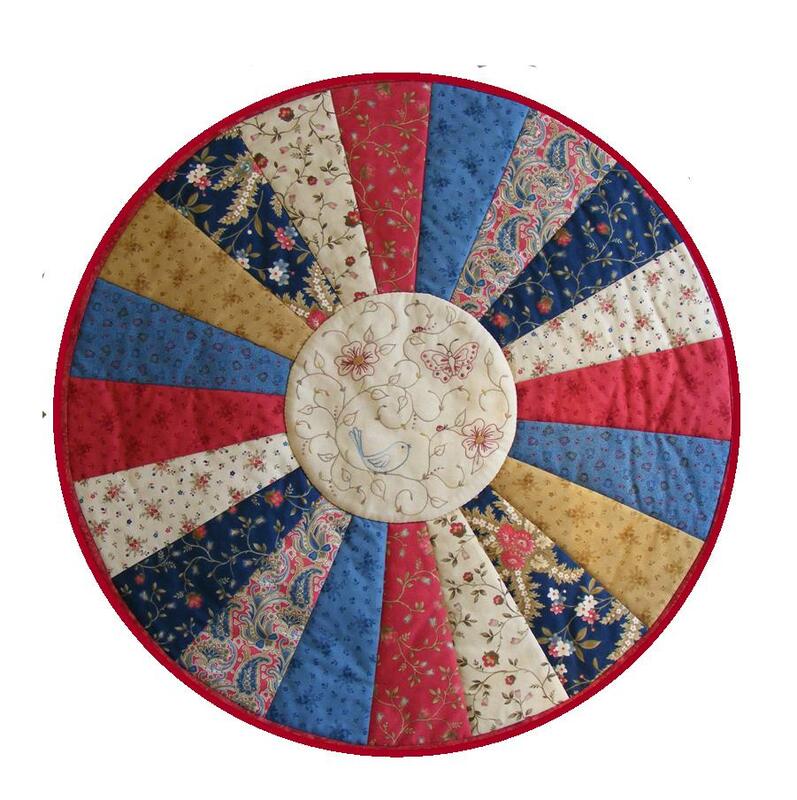 I had a lot of fun designing this project and there are several other patterns available that coordinate with it, a small wall quilt called Woodland Friends, a pincushion (both appeared in earlier posts) and a circular table topper – (Pictured below in 2 different colour versions). 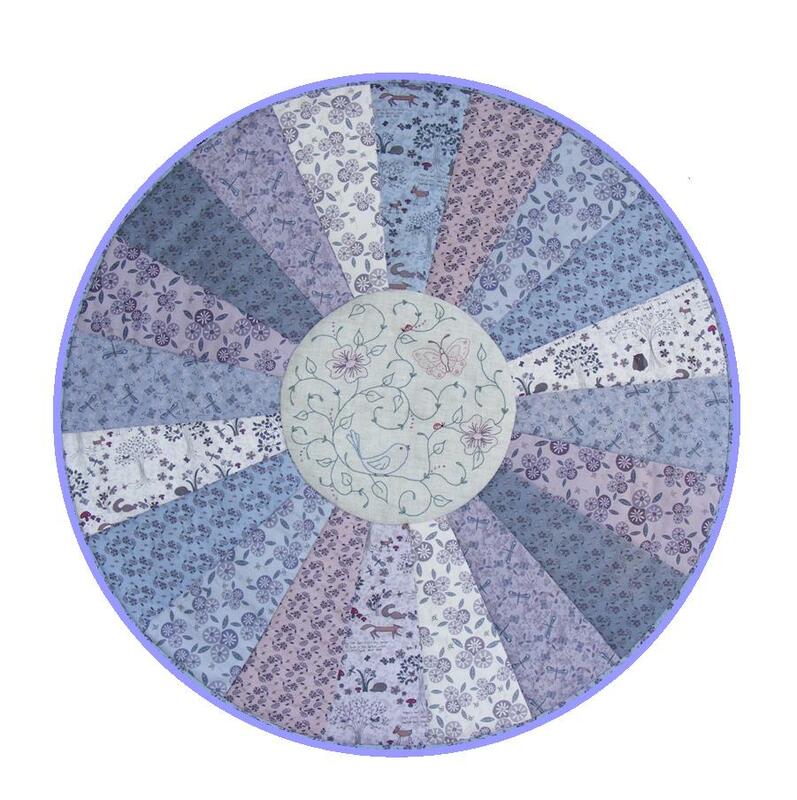 The fabrics are available from Little Quilt Store and the range is called Wildflower Wood designed by Lynette Anderson. Fabrics are also available at The Patchwork Tea House in Warburton and The Blanket Box in Newcomb, Geelong – just in case you have to have some – it is very cute. Spring is definitely here with all the flowers in bloom and the sweet sounds of birds singing, so it was fitting to have my project released at this time of the year. Have been busy over the last few weeks teaching some classes, where does all the time go??? Keeping busy stitching another project which will be released later in the year at Quilt Market. Hope you have time for some stitching over the weekend. It’s school holidays here so have been busy running around this last week and will also be next week too – so not sure how much stitching will get done around here!